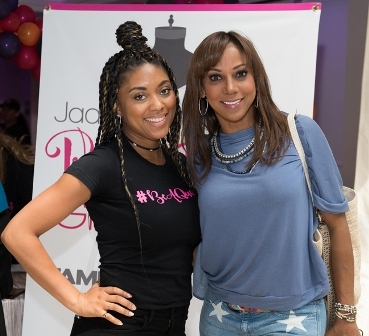 On Saturday, April 8, Jada Paul, wife of Los Angeles Clipper and nine time NBA All Star Chris Paul, and the Chris Paul Family Foundation hosted their sixth annual Prom Dress Giveaway at the Intercontinental Hotel in Century City. 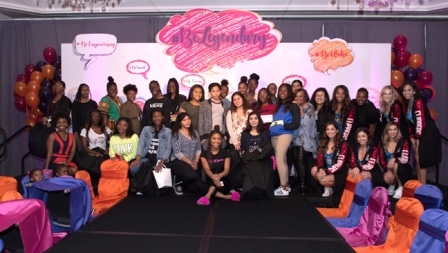 One hundred and twenty five high school senior girls from various community organizations around Los Angeles attended the event. Those organizations included the Brotherhood Crusade, Watts-Willowbrook Boys & Girls Club, Compton School District, Woodcraft Rangers and the After-School All Stars. 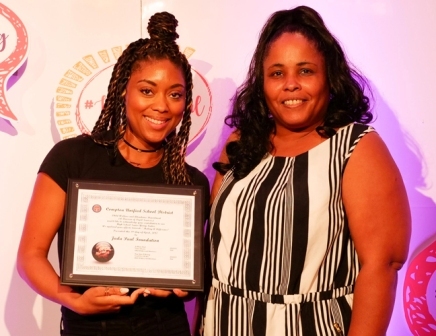 The event included a light breakfast buffet, runway fashion show with models from Natural Models LA and the Los Angeles Clippers Spirit, a braid bar sponsored by Keyes Automotive, and makeup instruction by The Glam Agency. The young ladies were able to select their prom dress, shoes, purses and jewelry all in an effort to make their prom night extra special.